F. Earl Christy hailed from Philadelphia, Pennsylvania where he was born in 1882. His first name was believed to have been Frederic, according to his bio on AskArt.com. He died in 1961 in the Long Island town of Freeport, New York. Like one of his contemporaries, Harrison Fisher, he built a reputation painting beautiful women in the early 1900s. At just 17, Christy created original artwork for the Boardwalk Atlantic City Picture Company. Many of those first paintings were published by the J. Hoover and Sons Calendar Company of Philadelphia. While studying commercial art at the Pennsylvania Academy of the Fine Arts, at the age of 23, Christy developed a collection of “College Girl” postcards that are still popular with collectors today. The first cards in this series were published by the U.S.Postcard Company in 1905. He was said to have been influenced by the work of Charles Dana Gibson in creating these images of loyal college beauties waving pennants and wearing their favorite school's colors. These were signed F. Earl Christy and published both domestically and internationally by many different companies including a favorite publisher of collectors known for quality work, Rafael Tuck & Sons. Christy became well known for his work doing female portraits and full-bodied illustrations working in a variety of mediums including gouache, oil, pastels, and watercolors. This original art was widely printed and distributed in myriad ways. He was even known to paint a couple in love or a handsome gentleman on his own occasionally. Christy was introduced to many American households by illustrating magazine covers including examples for Saturday Evening Post, American Magazine, the Sunday Magazine of the New York Times, Collier's, and Photoplay Magazine among a number of other publications. 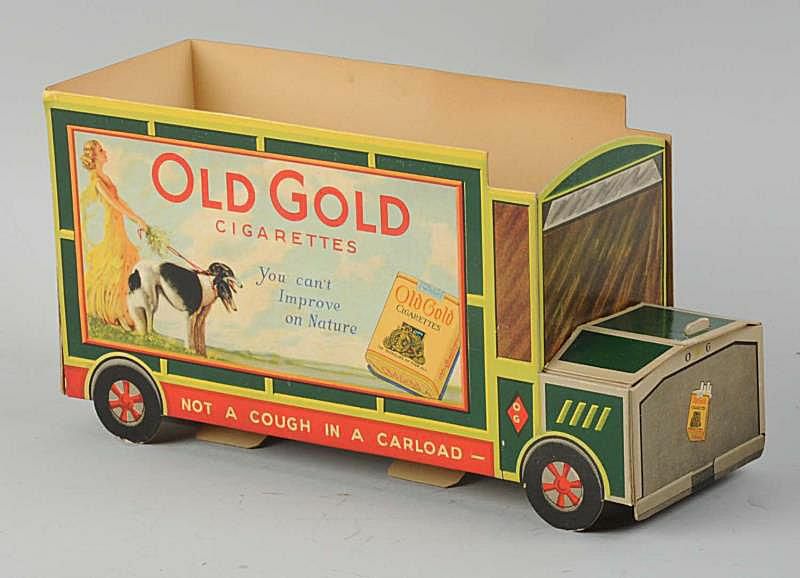 He also created illustrations for many calendar prints, ink blotters, fans, advertising posters, and counter stands (like the one shown above for Old Gold Cigarettes) along with other types of ephemera widely collected today. Many of the advertising pieces like these were signed only Earl Christy, omitting the F he had formerly used in his name. His artistry appeared on some ceramic wares and textiles in the early 1900s as well. In addition to paper collectibles, Christy’s illustrations can be found on china and textiles, too. These are more unusual and sell for fairly good sums, especially if they are sports related since those pieces draw interest from collectors of early baseball and football memorabilia as well as illustration art. For instance, a pitcher with four mugs with a Harvard baseball illustration can sell in excess of $1,000. A single mug with an Ivy League college theme will generally sell in the $100 to $150 range. Collegiate pillow covers with the F. Earl Christy signature can bring $175 to $225 or more depending on the condition and the school represented. There are more affordable options for collecting Christy's work, however. The “College Girls” postcards can be found more affordably, usually from $15 to $100 apiece. Small advertising posters and calendar images can be located for $50 to $200 or so. Magazine covers and sheet music can be best bets for tiful bargains. Watching online auctions can net one in the $5 to $20 range. Do You Know Who Drew the "I Want You" Uncle Sam Illustration?